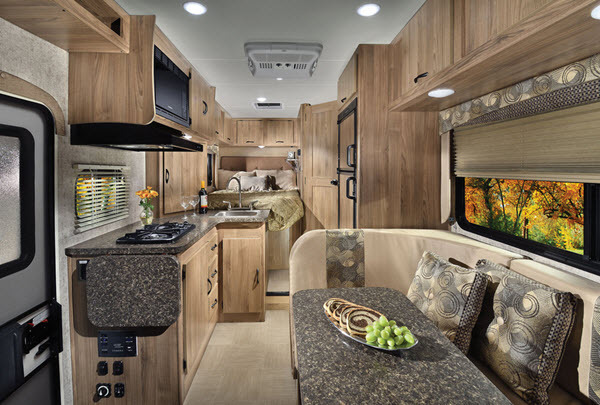 Whether it’s the spacious interior or the myriad of features that they sport, class Cs are an extremely popular choice on the RV market! 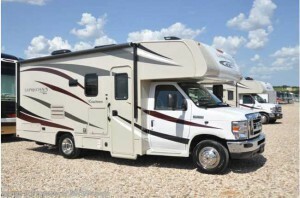 Part-time RVers tend to prefer one particular category of these recreational vehicles: lightweight models. These pack the same amenities as a regular class C, they are just as spacious, and they provide fantastic mileage and maneuverability. 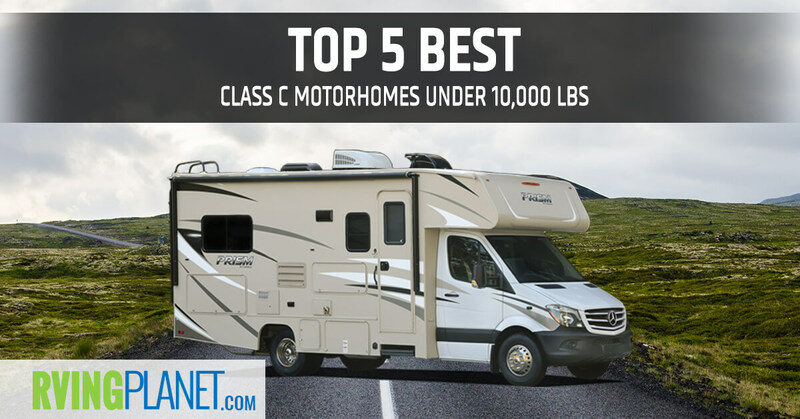 With that in mind, let’s take a look at the top 5 best class C motorhomes under 10,000 pounds. 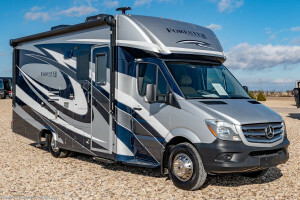 What puts an RV on the list: Apart from specifically looking at motorhomes under 10,000 lbs, we’ve also considered these models with the highest number of floorplans and fantastic ratings and reviews to ensure that only the best among the best make it to our posts! 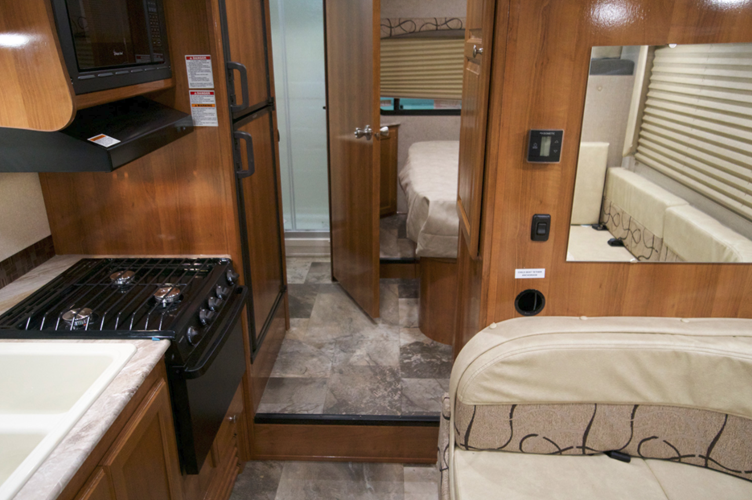 View All Coachmen Prism Class C Motorhome Floorplans! Why we recommend the Coachmen Prism Class C Motorhome: As far as options go, you can’t go wrong with the Prism class C by Coachmen, as all of the floorplans are well under 10,000 lbs dry weight. 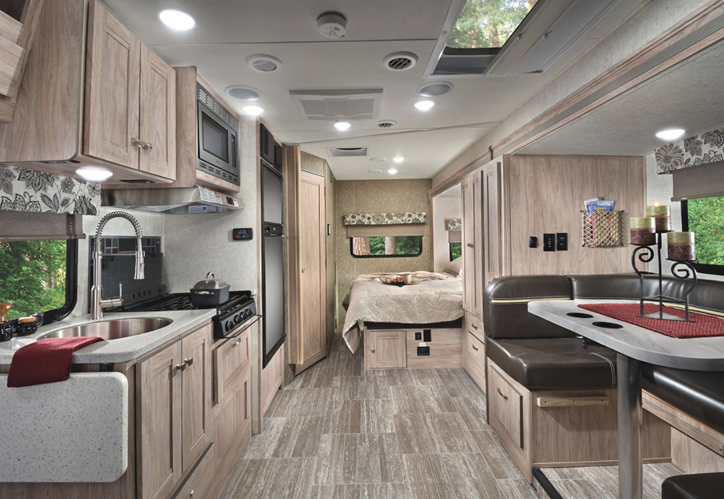 A few floorplans–such as the Prism 2150CB and the Prism 2150LE–also feature 2 slideouts, increasing the overall size while still keeping the dry weight just shy of 10,000 lbs. 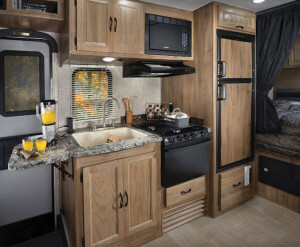 All other floorplans are under 27 feet, making this a great motorhome for campgrounds too! When it comes to features, the Prism has it all and then some. 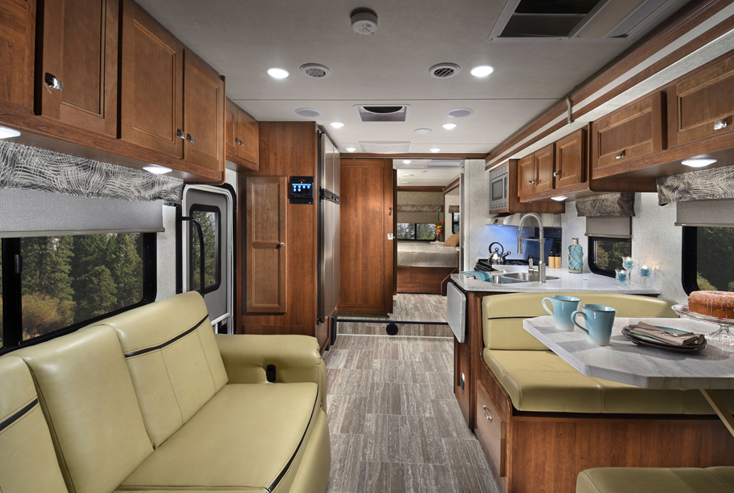 From the Italian nutmeg woodgrain and Wi-Fi ranger on the inside to the laminated roof and black slideout awnings on the outside, you’ll have a very luxurious class C when you go for the prism, and one that’s expandable too! You will have a great number of upgrades to choose from, which we recommend checking out by going to the link below the featured images! 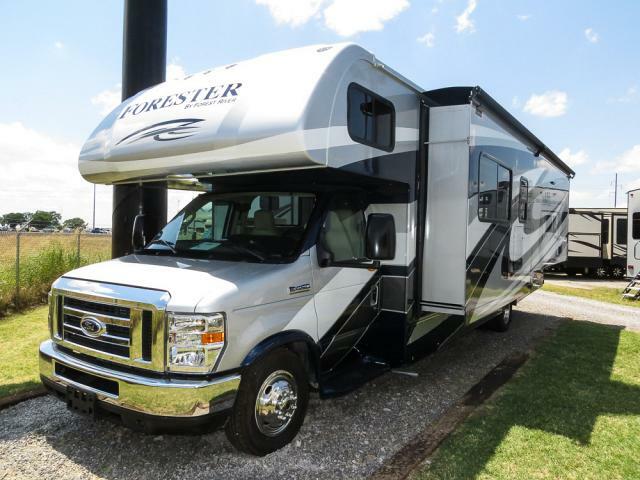 View All Forest River Forester MBS Class C Motorhome Floorplans! 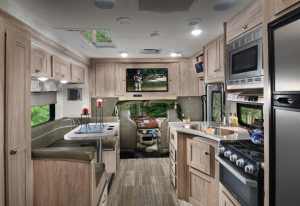 Why we recommend Forest River Forester MBS Class C Motorhome: WiIf you’re searching for a great tailgating motorhome under 10,000 lbs, we recommend checking out the Forester MBS by Forest River. It has three floorplans: Forester MBS 2401R, Forester MBS 2401S and Forester MBS 2401W, each with slightly different features, such as the 2401R focusing more on extra space with two slideouts and the 2401S, which focuses more on the large sleeping capacity. 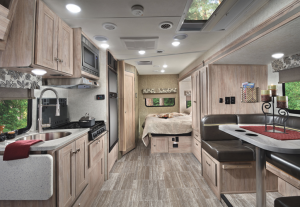 There are a few differences between the Transit Series floorplans and others, but the models that remain the same throughout are the block foam insulation, gel coat exterior fiberglass, shower skylight, upgraded memory foam mattress, color back-up camera, and many others. If you wish to take things to the next level, you also get upgrades such as a bedroom TV, an arctic package that adds insulation features, automatic leveling system, full body paint, and so many more just like these! 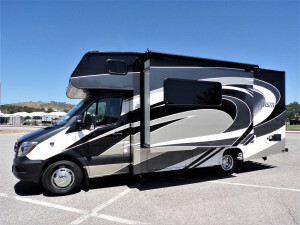 Why we recommend Coachmen Freelander Class C Motorhome: The Freelander has been featured so many times that it’s already explained itself if you’ve read our other top 5 posts. 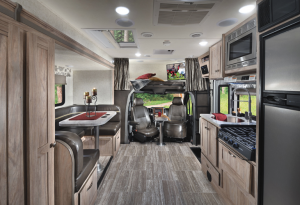 It has a large number of floorplans, so buyers like you can choose between one of the lightest motorhomes under 10,000 lbs (Freelander 20CB Ford) or something that is a bit more spacious (Freelander 21QB Chevy). 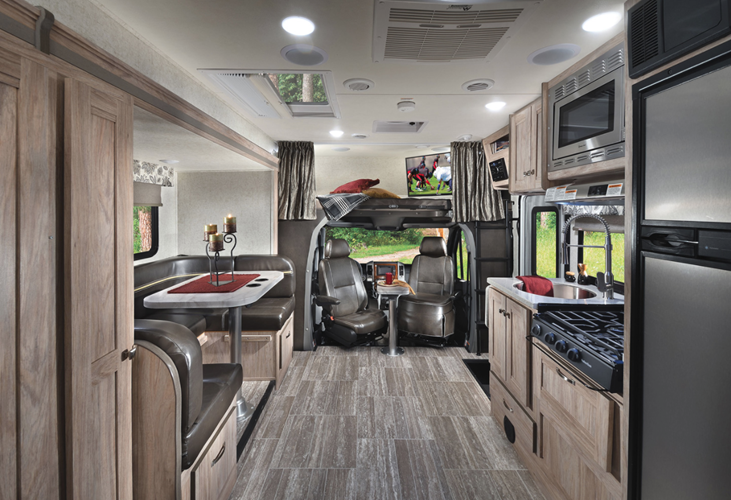 While most of its other floorplans are over 10,000 lbs dry weight, many are just over a few hundred pounds, and we recommended taking a look at all of them if you’re interested. All of Coachmen’s proprietary additions in their motorhomes are apparent here, from the use of the beautiful nutmeg wood grain to the Wi-Fi range which makes it a breeze to enjoy connectivity when you’re exploring. The Freelander also adds some unique features of its own, by having a family package available for select floorplans that adds a child safety net, 2 upgraded serta mattress, and black slideout awning/s. 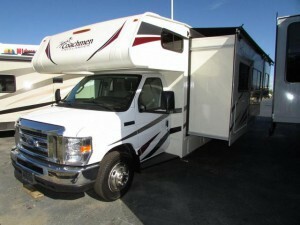 This makes the Freelander a solid choice for those looking for class C motorhomes under 10,000 lbs. The Affordable, Economical Class C! Why we recommend the Forest River Forester Class C Motorhome: With a bunk over cab and a U-shaped dinette, the Forester 2291S Ford–the only floorplan that’s under 10,000 lbs–is quite affordable. This goes both in terms of price as well as the mileage, since users have reported getting 7-10 mpg. That number might vary for you, as there are a lot of factors involved, but generally if you’re not towing anything you can expect your mileage to fall in that range. Similar to the Forester MBS mentioned earlier, the Forester class C provides a lot of features that make it great to use in the winter as well. 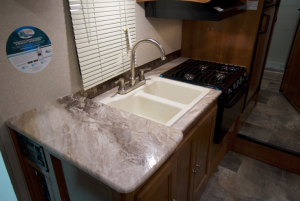 Block foam insulation should handle some chilly weather, but true winter camping is possible with its optional arctic package that adds features necessary for your RV to survive in the bitter cold and keep you warm and comfy at the same time! Why we recommend the Coachmen Leprechaun Class C Motorhome: Another top-notch, highly acclaimed RV is the coachmen Leprechaun that only has one floorplan under 10,000 lbs dry weight, the Leprechaun 21QB. However, similar to it’s Freelander cousin, this class C also has a many floorplans that just reach the 10,000 lbs+ dry weight category. These come in a ton of different sleeping capacities and sizes, and we definitely recommend checking those out! Depending on your floorplan, you’ll either get the Value Leader Package or the Premier package, but since the 21QB floorplan is the one under 10,000 lbs, we’ll be discussing the one the Value Leader Package that comes with it. 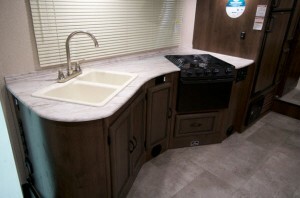 You will have an Azdel composite sidewall construction, pre-wiring in case you wish to add an optional bedroom TV, air assist rear suspension, slideout entertainment center, Onan 4 Kilowatt generator, and a ton of other amenities that convinced us to tag the Leprechaun as one of the best quality motorhomes under 10,000 lbs. 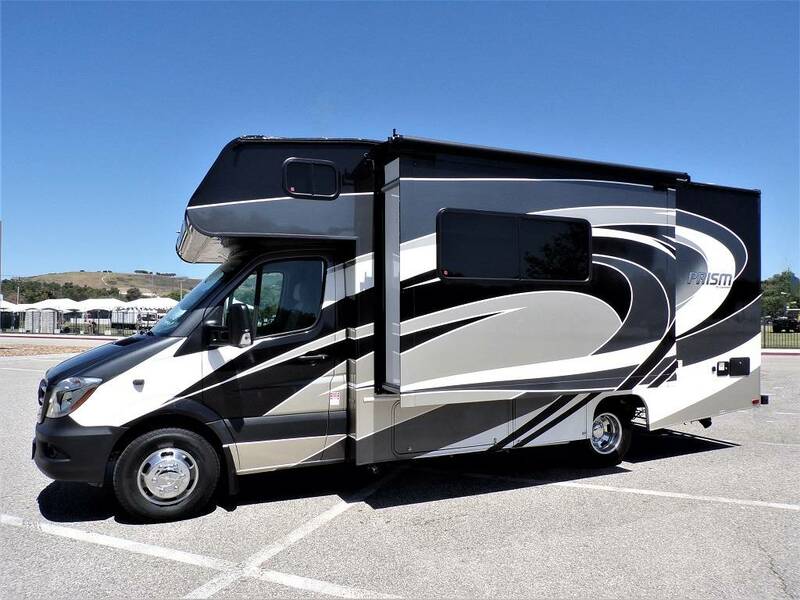 We hope you’ll consider looking at these class C campers when purchasing your motorhome, as these are a great starting point into the wonderful world of RVing! 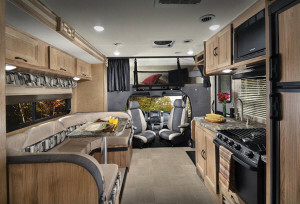 Share with us your favorite class C motorhomes under 10,000 lbs in the comments below!